This Sun Bum sunscreen balm review is just in time for you if you're experiencing dry, chapped lips. It might also be the product for you if you take overexposure to UV rays from sunlight seriously. Hiking For Her takes every piece of hiking gear seriously. Even if it's something as small and seemingly trivial as lip protection on a hiking trip. 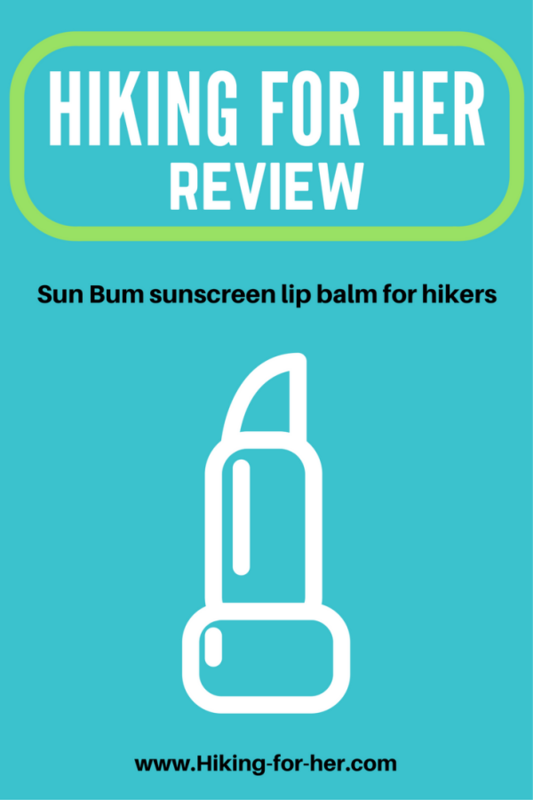 No one asked me to review Sun Bum sunscreen lip balm. I stumbled upon it in the aisles of Target, as I was searching for a high SPF product that also ticked a few other boxes for upcoming snowshoeing adventures. And here's where I share pros and cons with you. The flavor reviewed here is coconut. Be sure you really, really like coconut, because this lip balm hits you with a big blast of tropical goodness. I find this hilarious when I'm on a cold, snowy, or wet trail: like an instant pina colada in my pocket. In fact, it makes me laugh out loud to the point of annoying my trail buddies. What makes this a slippery, coating, soothing balm? Vitamin E (tocopheryl) is a nice way to add oily antioxidant coverage. Sun Bum suncreen balm tastes really, really good (see above). So the temptation to keep smacking your lips is very real. The more you smack, of course, the less lip balm is left on your lips. And the more likely it is that your lips will dry out. However, if you can resist the urge, the balm will sink into your lips and stay in place for at least thirty minutes (that's as long as I timed it before re-application). The slipperiness will disappear, but you will still be able to taste the balm, meaning that it is still protecting you. But for best coverage, reapply frequently. That won't be a problem, because it's tasty. Because of its strong odor and appealing taste, I do not recommend that you bring this lip balm into the backcountry or leave it in your backpack unguarded during a siesta. If you like it, so will your bear, squirrel and raccoon buddies. I carried this tube of lip balm in my hip pocket during my hike. It was quite soft by the time I remembered that I was carrying it and pulled it out. So be careful of direct sunlight or heat exposure. The balm is plenty soft on its own. Just to be thorough, I'll do a winter hiking test and report back here. As a hiker in my 60s, I'm very concerned about the cumulative damage my skin has sustained over decades on a hiking trail. Buy UPF protective outdoor clothing. Every hiker needs these tips, regardless of the date on the calendar! And because UV damage to skin is a very real problem for hikers, use these sun burn avoidance tips, year round, regardless of skin tone. Cover up, every time, no matter what. 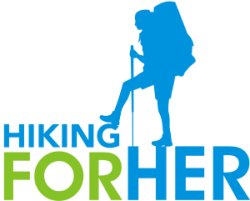 Because Hiking For Her likes this product so much, it might be featured in an upcoming giveaway. Keep on eye on your chance to win right here.